One of the best things in science fiction is bizarre alien planets. Ice planets, lava planets, water planets, planets with two suns, planets where you can see Saturn-like rings in the sky. Nowadays, that’s one of the best things in astronomy too, because all those types of planets actually exist. Welcome to exoplanets, the newest and sexiest field in astronomy, where in the hunt for alien worlds the Holy Grail is discovering another Earth. Almost every week another discovery in the field makes the news. Earlier this month researchers found out 10 Jupiter-like planets they studied aren’t as hot and dry as suspected; clouds are hiding signs of water. Astrophysicist Jennifer Patience of Arizona State University’s School of Earth and Space Exploration is an expert in exoplanets. She is involved in high-precision imaging of exoplanet systems and protoplanetary disks (a rotating circumstellar disk of dense gas surrounding a young newly formed star). She was involved in the first image detection of a multi-planet system around a particular type of star in 2008. She discussed the latest trends in the 23-year-old field. 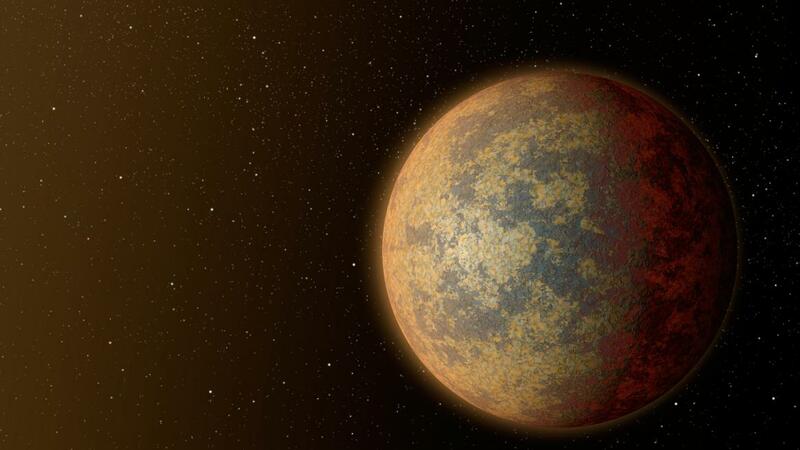 The first exoplanet was discovered in the early 1990s. It was found around a pulsar, a remnant of a supernova. It wasn’t seen; it was measured. That changed in 2009, when the $600 million Kepler space observatory launched into orbit by NASA, with the aim of determining how common Earth-like planets are across the Milky Way galaxy. What Kepler has turned up is startling. There are a range of planets out there we don’t have in our solar system. Some are giant — 20 times bigger than Jupiter. Some have entire solar systems packed into a tight orbit like Mercury’s. If you were standing on the surface of one, the others could appear like the moon does in Earth’s night sky if they were close enough. “You could see some amount of the size of the planet,” Patience said. Many exoplanets are too close to their host stars to be habitable. “They can be up into the thousands of degrees,” Patience said. Most are giants, so they’re gaseous. If they turn out to be rocky, they could potentially be lava worlds. “If a rocky planet is that close to the host star, you’d have to be thinking about some amount of molten material,” Patience said. One planet scientists have dubbed a super-Saturn has more than 30 rings 200 times larger than Saturn’s. If it replaced Saturn in our solar system, its rings would be more visible than the moon. The closest exoplanet is a little more than 16 light-years away (or about 96 trillion miles). Depending on the temperature of the star, there is a range of orbits where liquid water could be present. They can’t be too close to the star like Mercury because they’d be too hot. They can’t be too far away like Mars, because they’d be cold. There are around 25 Goldilocks planets: Earth-size, and in the right orbit. Last month the most promising Earth-like planet — Kepler 438b — was found to be possibly uninhabitable. The planet is in the Goldilocks zone, but it orbits a cooler low-mass star. This type of star has a lot of flare activity, so the planet is bombarded by intense radiation and plasma flares. “Although it’s in the liquid water zone, it might have other complications,” Patience said of Kepler 438b. Kepler 438b is tidally locked to the star, so the same face of the planet is always turned to the star (similar to the moon and Earth). Could there be a thin habitable edge at the line between the star side and the dark side? Imagine living in Arizona, but not being able to go to California because there’s too much radiation, and not being able to go to New Mexico because it’s dark and frigid.